“apartment. design solutions” is a concept store which COORDINATION opened together with the local partner DAS in Almaty, Kazakhstan. 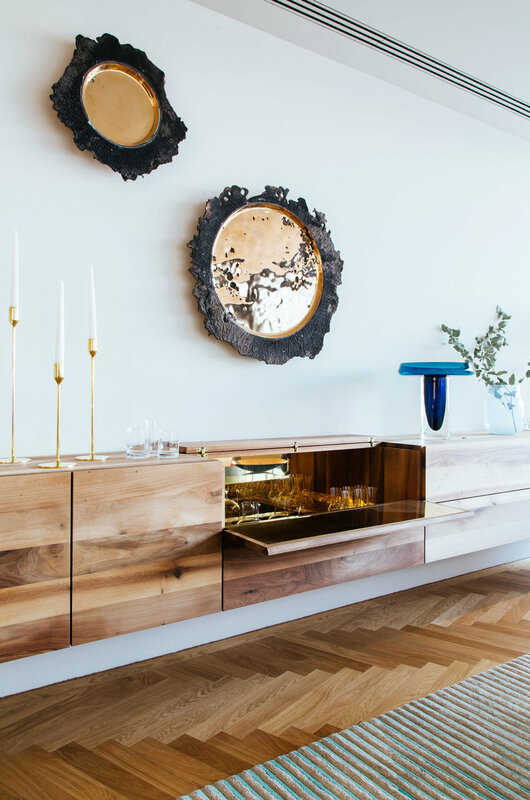 This shop offers a curated selection of exclusive furniture and design products as well as planning services, which are executed in the adjacent interior design studio. Accompanying lectures and workshops with manufacturers and designers are also on offer for new impulses to the local designers. The shop was staged as the apartment of a style-conscious and selective fictional resident. The location was transformed into an open floor plan that features plenty of space at the front on two levels for showcasing the editions and the product selection. With its individual and cosy atmosphere this shop meets the growing demand of the design interested audience in Almaty for new interior design inspiration. The process of merchandising took several months, during which COORDINATION curated a selection of well-crafted objects with the highest design standards from highly respected, primarily European brands and designers. The selection is rounded off with world famous design icons next to fresh tendencies of the international design discourse. Among others, featured designers include Charles & Ray Eames, Michael Anastassiades, Sebastian Herkner, Michael Verheyden, Stefan Dietz, Adolf Loos, Otto Blümel, Trude Petri and Mark Braun. Also included are limited edition classics by Ettore Sottsass, objects by James Irvine, Tom Dixon, Mateo Thun, Eileen Gray, Thomas Sandell, to name a few. Emanuel Babled and Faye Toogood are introduced both with precious limited editions and one off pieces. This concept store offers new options for high-end interior design to Almaty and the combination of interior design services, curated product selection and lectures extends the trodden paths of retail today. “apartment. design solutions” is located in the Esentai complex vis-a-vis to the Esentai Mall and the Ritz Carlton Hotel, Al-Farabi Avenue 77/1, apt. 8, go to website.